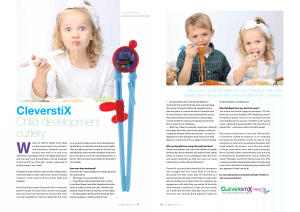 Double-page CleverstiX articles in the latest Tradepoint and OT Magazines! 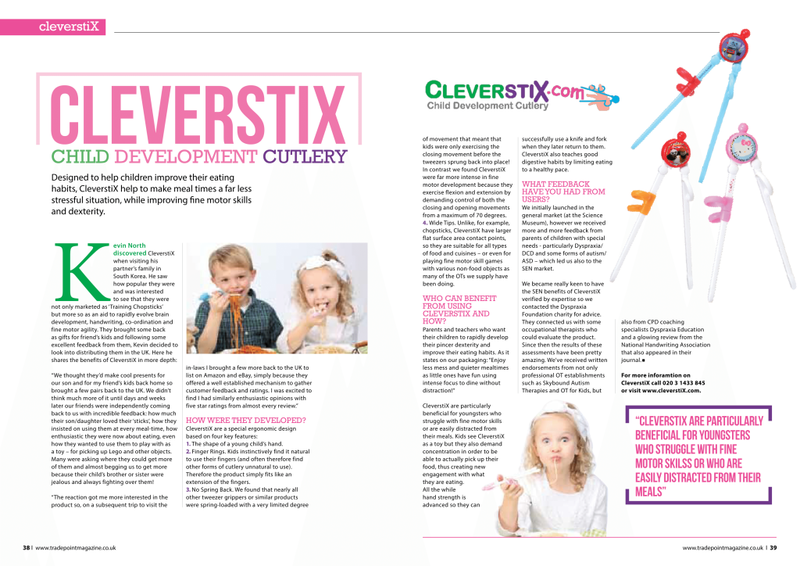 The ever-increasing media coverage of CleverstiX has extended again this month with the product being subject of a 2 page feature in the current edition of OT Magazine and it’s sister publication Tradepoint Magazine. Tradepoint Magazine specialises in providing high street retailers, wholesalers and product suppliers to the independent living market sector the very latest industry developments. Meanwhile OT Magazine caters especially for UK-based Occupational Therapists (OTs) as a useful and informative resource. The publication includes in-depth features, the latest research and up to date information on events and exhibitions as well as exploring the different areas OTs work in, common problems encountered, useful tips and techniques and share inspiring stories. Following the success of the CleverstiX appearance at the recent OT Show, OT Magazine were keen include a report on the revolutionary product which is causing such a stir in both the general market and in the Special Needs sector.